Michael Strahan and i at ABC Studios! Since last year, he has played well over 100 masses for Sunday services and numerous funerals. He has been thoroughly enjoying his new job! So much so that he wrote a song called: “I Look To My God”. He is the sole performer at a large venue (3,500) people for the 19th annual KIDS FAIR sponsored by WHUD 100.7fm. He will be performing at the annual “Make Music NY Festival” in NYC and Christopher will be the headliner for “POP CITY TOURS 2014” shows in NYC. 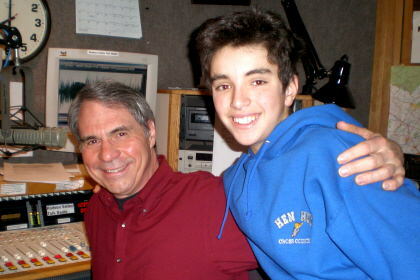 Christopher has been interviewed by Bruce Owens a number of times and recently was honored to be the last scheduled guest on his Radio Talk Show for Good Morning Hudson Valley Radio. Bruce shared this historic interview with Rivenmaster’s place specifically for this article. You may also want to see his performances of “Just Another Teenage Night” a pop original of Christopher’s performed in the lower east side of New York City, and “Chick Corea during a sold out Latin Jazz performance. I’m not sure what’s around the corner for Christopher, but I can promise you it’s going to be huge! With the countless songs he has written, this prodigy pianist, singer, and now church organist will undoubtedly continue to experience great success. Yes, the NEW PIANO MAN has truly arrived! After all Christopher is gaining momentum in the City That Never Sleeps, the one where… IF YOU CAN MAKE IT THERE……. well you know the rest! Christopher McGinnis mobbed by fans in Times Square! Sold Out Solo Show in NYC, December 2012! 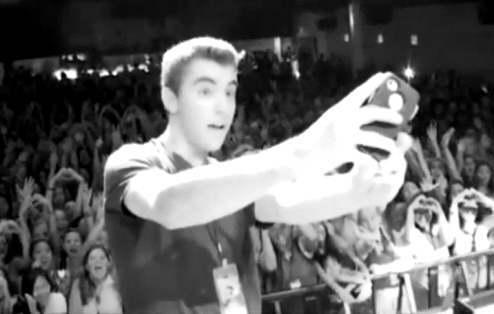 .WATCH CHRISTOPHER’S SPECIAL MESSAGE TO HIS FANS! 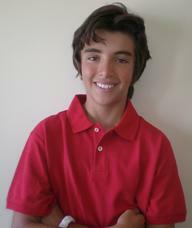 Fourteen year old musical prodigy Christopher McGinnis first appeared here back inFebruary 2011. Since that time, he has continued to advance his career writing additional hit songs adding to his ever growing collection of originals. Christopher is an amazing piano prodigy, prolific songwriter, and soulful singer with movie star looks. This young talented teen has everything in the making for HUGE success. His command on the piano as he goes from playing Latin, Blues, Jazz, Classical to Pop is just an amazing sight to witness. Christopher released his new single “I Played The Fool”, which demonstrates his ability to write top 40 hits with an identifiable hook. I personally purchased it only yesterday and have to tell you that “This song rocks”!!! You can get your own downloaded copy today by visiting i-TUNES orAmazon.com. 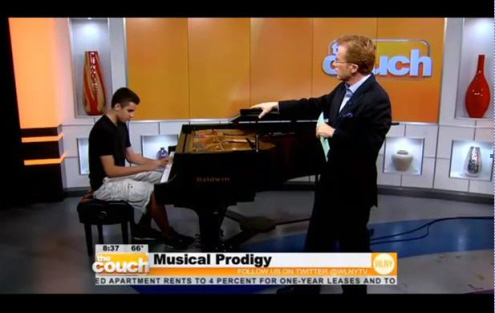 Christopher began his summer performing live with sixty four other pianists at the South Street Seaport “Pier Fifteen” for classical composerWendy Mae Chambers in June for the “Make Music NY Festival“. He will be appearing at the iconic“Bitter End” in NYC on July 20th on piano and vocals performing all his originals. In addition, Christopher will host the “Echo Bay Youth Blues Festival”. After the Blues Festival Christopher will travel to Virginia to open up for the successful Indie Band “Scars on 45“. He will then return to NYC where he will perform at the South Street Seaport in mid August. 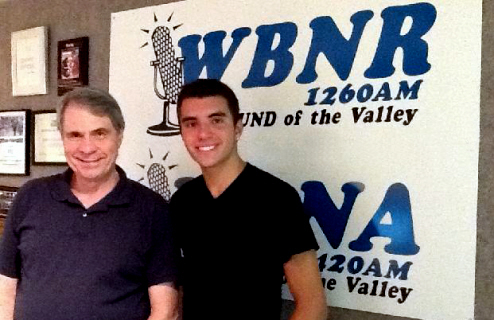 On July 17th Christopher once again was featured and interviewed by Bruce Owens on Good Morning Hudson Valley Radio. Bruce first interviewed and featured Christopher over a year and half ago and his interview was also featured here on this site! I want to thank Bruce and his amazing station WLNA for once again sharing his broadcast with this site. Use the player below to enjoy the entire broadcast and interview with Christopher McGinnis! 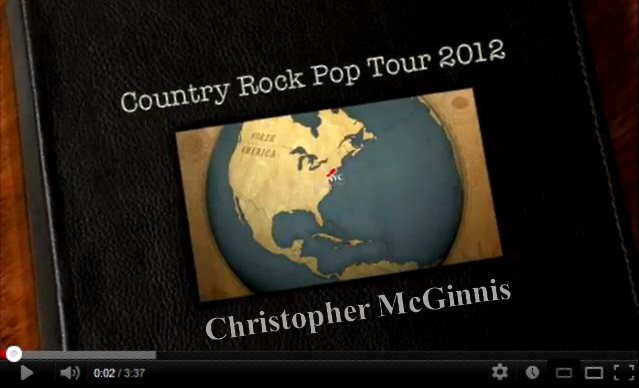 It is incredible to me that Christopher McGinnis is not yet signed to a Major record Label. We are witnessing the preeminent piano, singer, and songwriter of our time. What Billy Joel and Elton John were to the 70s and 80s, Christopher McGinnis is to his generation and the future. Below is many press/media write-ups and interviews of me…ENJOY!!!!!!! Note: This interview is transcription of the original interview aired on TheSkyKid.com radio on 19.02.2012. The clip included below features the whole interview and snippets of the songs that were played during the live broadcast. 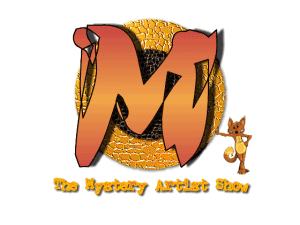 In this transcript, “MA” will represent the questions posed by the Mystery Artist’s Show and “CM” will be Christopher’s answerMA: How did you manage to do your first concert on Celebrity Cruise Line? Christopher McGinnis Live in Macy’s Herald Square NYCMA: Between the sports, acting and singing, which do you hope to make your profession? Live performance for prominent politicians, judges, us army officials at 9-11 tribute. At 14 years young, Hen Hud High School student, Christopher McGinnis is a singer/songwriter and professional pianist who has also acted in films and on television. Accomplishment: At the age of 14, Christopher is already an all-around entertainer. 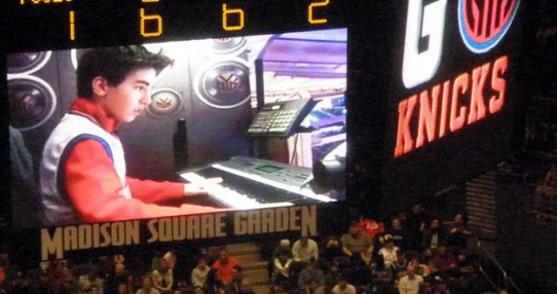 Not only does this young man amaze crowds with his voice and piano playing, but he has also acted in films and on television, done voiceovers, and performed live for over 20,000 people at a half-time show in Madison Square Garden, a venue he has now played 3 times. Most recently Chris performed his original song, “The War Song An American Hero” at the Town of Cortlandt’s 9/11 Remembrance Ceremony. Key to Awesomeness: Cortlandt Manor resident, Christopher McGuinnis began his formal piano training at five-years-old, and has been singing and playing piano professionally since he was 10-years-old. Through his private training at the Julliard School and formal training which comes by way of some of the best pianists New York City has to offer, Chris has learned to play pretty much every genra of music out there, including classical, Latin, jazz, pop, rock and be-bop. “I love to play jazz and Latin. Most kids my age don’t like all the old standards and can’t really free style in Jazz,” McGinnis said. Chris’ musical talents have bestowed a number of honors upon him, including the opportunity to have played with the late Motown musician, Nick Ashford at his NYC club, The Sugar Bar. McGinnis was also the youngest pianist to play for the Jazz Standard Youth Orchestra at the Jazz Standard in NYC and performed one of his original songs for the US Army’s 42nd Infantry Division as well. In addition to his musical career, McGinnis has already had a successful acting career. 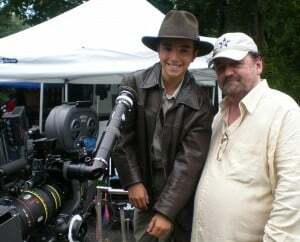 Chris made his acting debut on an episode of Law & Order Criminal Intent, and has since been featured in a number of television shows and commercials, including an advertisement for Papa John’s where he portrayed a young Indiana Jones. When his agent calls, Chris is always ready to travel down to the city for an audition. At home, he spends about an hour a day practicing the piano, and writes songs when he feels inspired. Besides his interest in the entertainment industry, McGinnis is also an athlete who plays football, basketball and runs track. Looking back on his musical career thus far McGinnis says that his greatest accomplishment to date has been playing Madison Square Garden three times. Though he credits many musicians, such as Michel Camilo and Billy Joel, as having inspired him, Chris also says that his inspiration comes from his heart and his family. In his spare time Chris enjoys surfing, riding his jet ski, and reading about yachts on the internet. He also has an interest in medicine, and says that one day he would like to become an anesthesiologist. 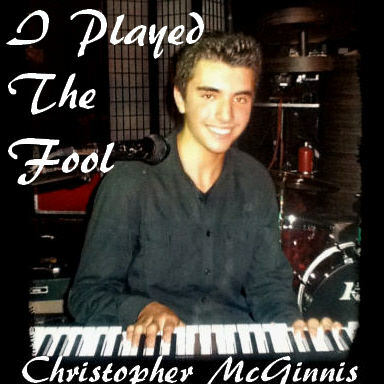 Last February I introduced to this site, a young musical prodigy named Christopher McGinnis. Christopher has been making his mark not only as a outstanding pianist, organist, performer and actor, but as an entertainer and song writer who has written three original Pop tunes, “Dreams Are Made Of”, Time Waits For No One”, and “The War Song an American Hero” which are all available for purchase on I-Tunesand Amazon. 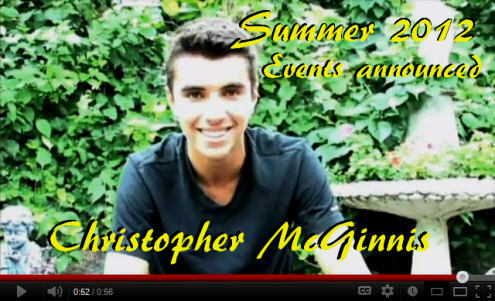 Christopher has been very busy since that first article was published, performing all around the New York area. Christopher, who turns fourteen on the 15th of this month, has already accomplished what many professional musicians who have been in the business for years have not, by performing Three Times at Madison Square Garden. While a smaller version of this article appeared in the side bar of this blog previously for a short time, I felt it necessary to give Christopher the recognition he deserved by publishing the extended version here today. With this Sunday being the 10th Anniversary of 9/11 in the United States. I felt that Chris’s song entitled “The War Song an American Hero” was exactly what was needed to commemorate this day. Recently Christopher performed his original song “THE WAR SONG AN AMERICAN HERO”at the WWII Veterans Concert 2011. 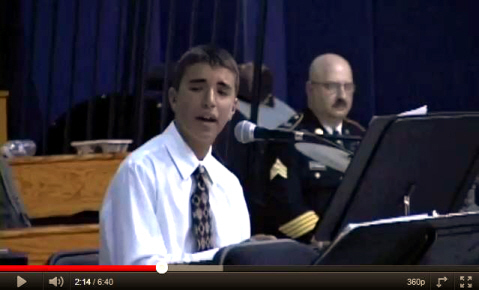 Chris sang and performed his song for some of the US Military’s top brass during this event! No only does his song fit this weeks memorial theme but it honors every fallen solder who has ever fought for his country. Thanks you Christopher for this song and for your dedication and desire to share your gift with all of us today! 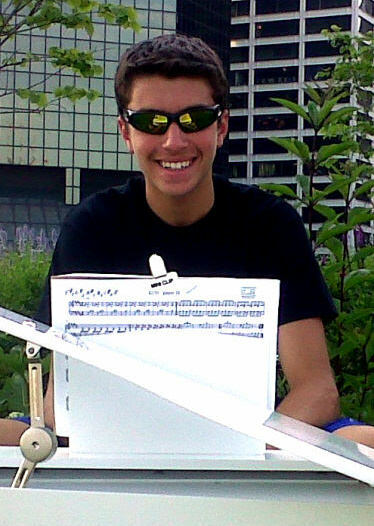 He is a featured pianist — and the youngest member — of the Jazz Standard Youth Orchestra. He plays with the group at the Jazz Standard in Manhattan once a month with his next performance scheduled for Dec.- at 2 p.m. On Nov. 2, he was the halftime entertainment at a New York Knicks-Charlotte Hornets game, playing in front of thousands at Madison Square Garden. He has also acted on television shows and in commercials. But you wouldn’t know from talking with the Blue Mountain Middle School student that he’s that big of a deal. For all his talent and personality, Christopher seems to take his success in stride. 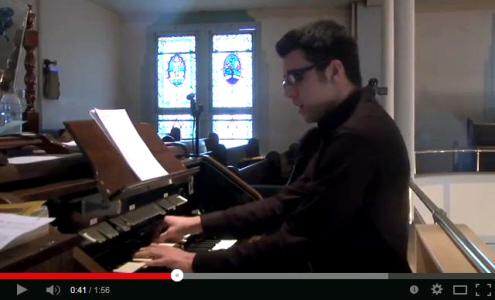 Christopher started playing piano at age 5 and, at 7, was studying at the Juilliard School. By age 9, he was under the tutelage of acclaimed jazz musician Zaccai Curtis. Michele Pulice thinks her son inherited his talent from both sides of the family, although she admits the majority likely came from the family of her husband, Chris McGinnis. Her late father-in-law, Edward McGinnis of Peekskill, was the leader of Eddy and the Touch of Class, a Big Band that performed throughout Westchester County and New York City for years. Eddy McGinnis, who died in’97 about nine months before Christopher was born, also worked as an actor and a model. Although Christopher enjoys playing jazz, he also likes pop music and counts Billy Joel as among his pop influences. Christopher has also written pop songs, one of which he’ll perform Thursday at 6:30 p.m. at the Broadway Comedy Club’s Holiday Hilarity and Variety Show. Whether he’s playing football, surfing or playing piano in front of 20,000 people at Madison Square Garden, Christopher never seems nervous and always seems to excel. Even at the Knicks game, where he was set up with what he called “a piano you could buy at Toys ‘R’ Us for $60,” Christopher made the best of the situation. In a video on his Web site that shows him just seconds before going on, he is giving his father the “thumbs up” and is eager to perform . Christopher may get a chance to collect more autographs as the Knicks have invited him for a return performance before a Dec. 6 game against the New Jersey Nets on Kids Day at the Garden. 12 year old piano prodigy and pop singing sensation Christopher McGinnis with the classy Matt Sampson in front of 3.2 million faithful viewers. To access this great interview that was written by Kathleen Fitzpatrick please go to www.northcountynews.com and go to the archives or just read the story directly below. Though he is ten years old, Christopher McGinnis, II has decades of experience behind him. The McGinnis family has encouraged, showcased and performed great music in North County for three generations. And now it’s Chris’s turn. 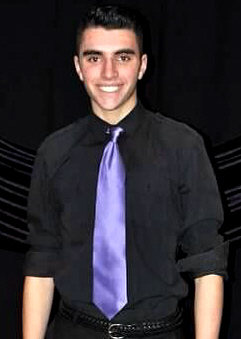 Chris was one of the youngest members to perform at the Amateur night at Peekskill’s Performing Arts Center last month. But this fourth grader, who has been attending Julliard for the past nine months and studying under the likes of David Tong and with noted jazz pianist Eri Yamamoto, doesn’t get nervous. He certainly isn’t jittery when he is backed up on drums by his mentor: his dad, Christopher McGinnis. Although he is classically trained and can play Bach with the best of them, it’s jazz that gets under his skin. Indeed it does. Chris and his dad transport you into a jazz club in the city with their beats when they improvise together. Chris has music in his blood: both his father and his grandfather were performers in the North County music scene. Chris McGinnis Senior has worked in the music business since he was 19. He and his wife, Michele, have worked hard to expose their son to the best musicians out there. Chris McGinnis, Sr. was the owner of The Funky Bean—now the Side Street Grill—in Buchanan, a jazz club and restaurant that he closed a year and half ago in order to devote more time to his son’s music career. He uses that time to travel into the city—where he was once operated a jazz club and owns an apartment in the East Village—with his son and wife in order to introduce him to the best in the business. Not only is young Chris taking lessons in Julliard, but he’s playing for musicians, who perform in the best night clubs in Manhattan, said his dad. 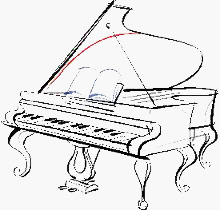 Christopher has played in the Hendrick Hudson School talent show the past three years and also played the piano for his BV elementary school concert last year. The district chose to allow him to accompany the chorus instead of hiring a pianist. When he’s not practicing, Chris loves playing baseball, soccer, swimming, wave running, football, and basketball. Christopher also sings; he and his dad sang Elton John’s “Can you feel the love tonight” at Amateur Night. While at home the night before, he practiced with his dad in the basement. Behind the C3 Yamaha Grand Piano he’s practicing on hangs framed movie posters for which his mother served as casting agent. His grandfather would have been proud; Eddie McGinnis and his band, A Touch of Class, played at the Tarrytown Hilton for 17 years. While his grandfather was part of the big band era, Chris will someday be a cross between Sting and Michel Camilo, an internationally acclaimed jazz pianist and composer, according to his dad. Both of Chris’ parents have worked hard to give him not only the exposure to talent and training that a young pianist requires but the values and strength of character needed to survive the business, they said. But until he makes it big—a prospect that young Chris can’t help but be excited about—he enjoys every minute of playing in his basement, every night, with his dad. Check out Christopher’s website at http://christophermcginnis.com.